We had a total of twenty-five relatives over for dinner. Even though I am not a cook, I managed to get the main meal together. Of course the highlight was dessert. Thankfully my sister-in-law and her kids are expert pie makers and came to my house early in the day to make them. We had various pies including pumpkin, peanut butter, mince-meat, and my two utmost favorites - apple and pecan. They were totally delicious! The visitors have gone now and we are getting back to normal. I know Kinsey is about to be homeless so I am working as fast as I can on her house. Wow! I would say you've had a year of giving so much of yourself to others! Those pies looked gorgeous and delicious, and I bet the meal you made was too! I hope things begin to get "right side up" for you again soon, including Kinsey's house and living situation! Hope you enjoy a nice and relaxing holiday season! Thanks Jodi. The upcoming holidays should be a lot more relaxing from this point on. We usually have a very laid back Christmas celebration which I am looking forward to. Do you think Kinsey will be in her new house for Christmas? She has been so patient with her builder and it would be nice for not to be homeless at this time of year. Hint, hint! Hope you take some time off over the holiday season to recuperate from this year's stresses and enjoy some fun time with your immediate family. Thanks Xanadu. 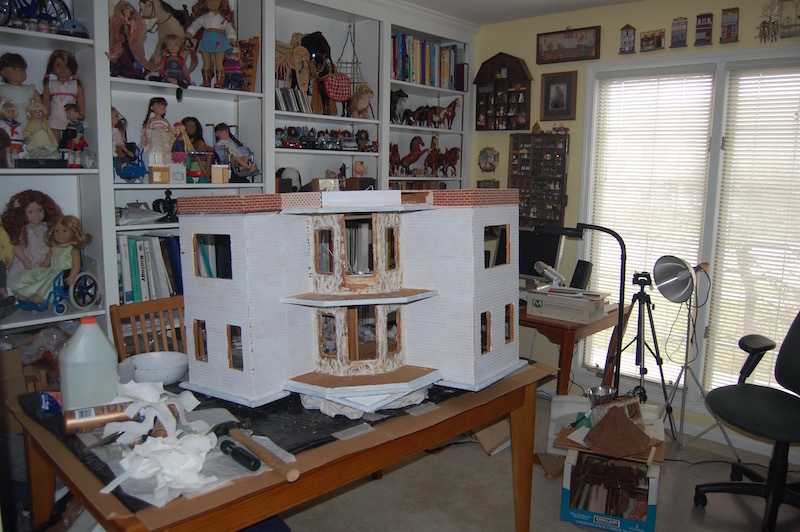 Hmmm, I am hoping to get Kinsey's house somewhat done but I am easily distracted by my other dollhouses that are all crying out for attention. Too many houses and too little time. Yes, Christmas will just be our immediate family and rather laid back. I need to have some time off! I am glad you had a nice thanksgiving. 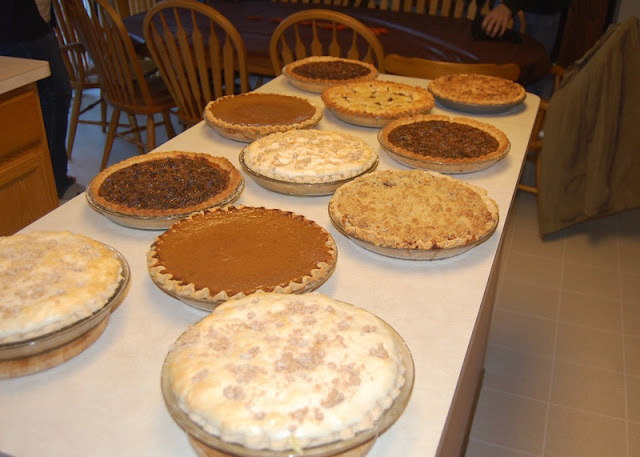 The pies look delicious. I can't wait to see Kinsey's house take shape. Thanks Giac. Kinsey's house is getting somewhere very slowly, but at least it is getting there! Thanks Birgit. Oh my, that would be very efficient if we could turn our real life houses upside down!